With the early effects of climate change being experienced world-wide and the cost of energy increasing every year, many eco-friendly designers and custom builders have begun efforts to further refine energy efficient and sustainable homes. 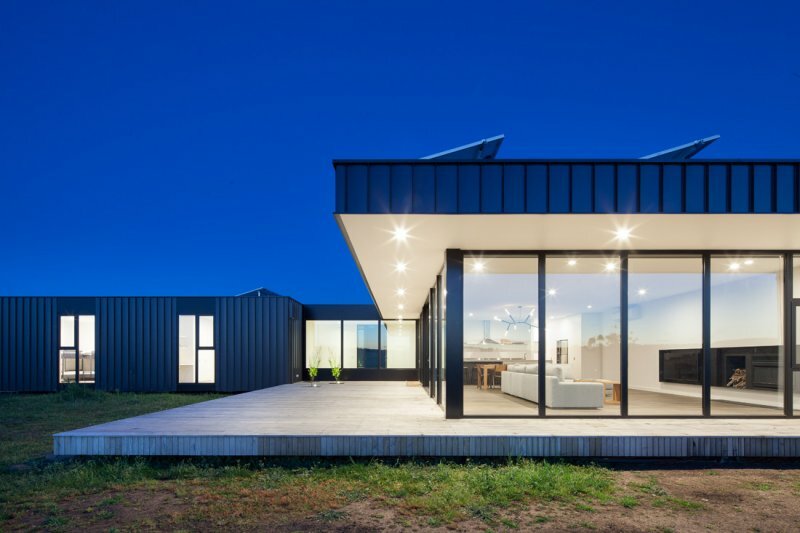 And while off-the-grid living was once the purview of a brave few, the concept has now come full circle and become an ideal in contemporary house plans across Australia. 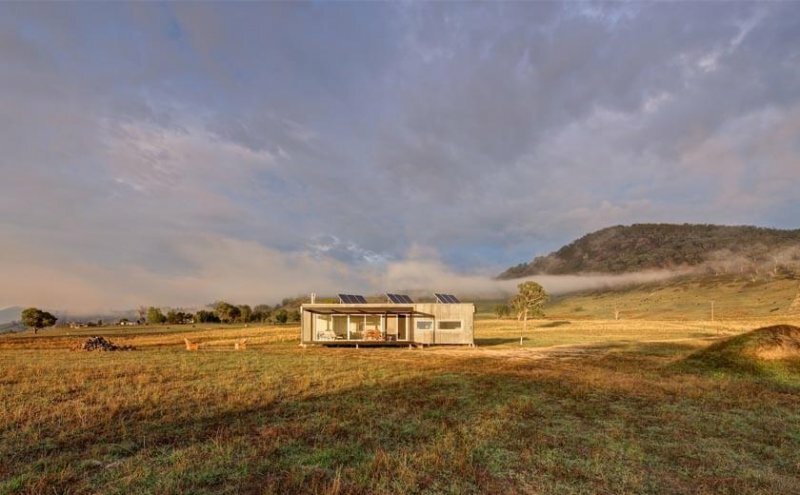 Essentially, off-the-grid houses are those that have become self-sufficient from mains services and use a combination of passive design, materials and technologies to not only save the environment, but also save a great deal of money. The end result being that many modern houses can boast being carbon neutral or even carbon positive – not only reducing their environmental footprint, but delivering a positive ecological impact. 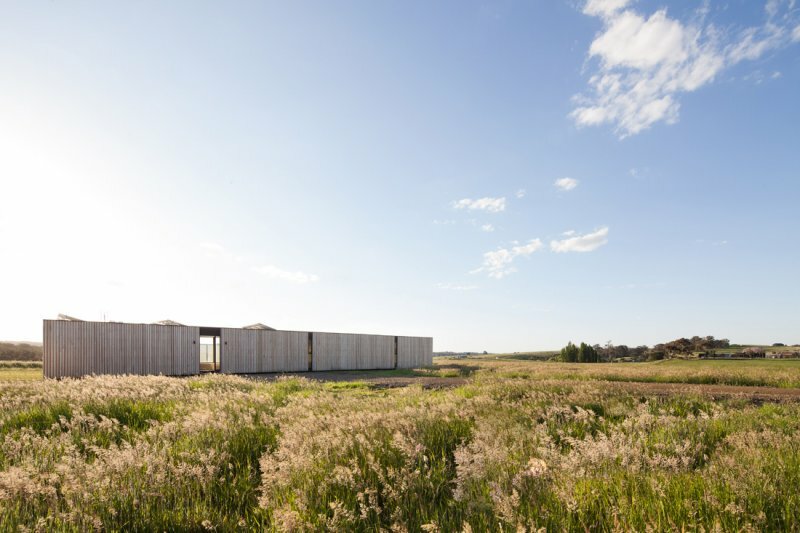 Taken further, off-the-grid housing can not only produce its own energy but will also find ways to maintain its own water needs, deal with its waste in a responsible manner and potentially produce its own food – all without a reduction in the level of comfort! The first step in planning an off-the-grid home is to identify the exact reasons as to why you want to do it in the first place. For some, it is about saving money. For others, it is about lessening their reliance of fossil fuels. While for many, it is that sense of freedom that comes with being totally independent. As the sky is now the limit when planning for an off-the-grid home, it pays to align your values with your aspirations so that you can plan accordingly, not to mention selecting the right design team for your future sustainable home! If you plan to live remotely, or build a holiday house off the beaten track, you will need enough land to generate your own power and store your own water. If, however, you are wanting a metropolitan lifestyle with as many green options as possible you might have to think about the latest energy harvesting and storage techniques. In either case, finding land that suits your needs, with the appropriate planning permits is a must. Once you have chosen your site, many specific characteristics come into play including the climate, orientation and features of the land. Each of these elements feed into the design response, with the concept of passive design providing a focus on renewable sources of energy such as the sun and wind to provide household heating, cooling, ventilation and lighting. 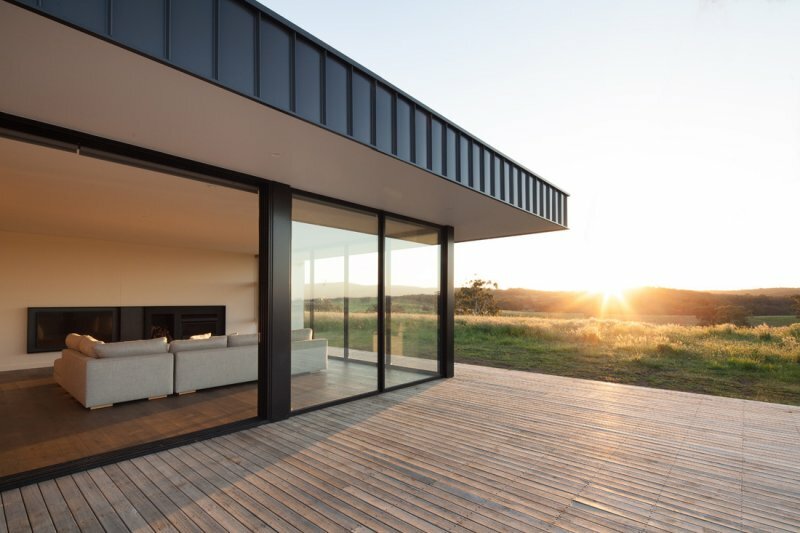 While there are eight distinct climates in Australia that require different design responses, it is most often the case that main living areas (such as living, dining and family room) should face north and have all day sun. These areas may require horizontal shading to prevent overheating in summer, but such positioning does allow solar gain in winter which is an important consideration. For kitchen and breakfast areas, east-facing rooms are ideal. This offers good light and solar gain in the morning, and cool afternoons during meal preparation times. Bedrooms should also face east, making for more comfortable summer sleeping. West-facing rooms have good afternoon daylight, but can overheat throughout the year. Air quality and flow have always been crucially important to the health of a home and its inhabitants. Good ventilation depends on the careful design of spaces, how they interact with one another, and how they avail themselves of local air currents and conditions. The size and placement of doors and windows must always be carefully considered to induce airflow and regulate temperature, air quality and humidity. To help reduce energy expenditure, materials can be used throughout your house to repel heat or trap heat. A materials ability to absorb and store heat is measured by its thermal mass, with high density materials, such as concrete, able to store and then slowly release heat. Good use of thermal mass moderates indoor temperatures by averaging temperature extremes, so it is particularly beneficial where there is a big difference between day and night outdoor temperatures. It’s important to note though that thermal mass does not provide an alternative for insulation. Thermal mass stores and re-releases heat, while insulation stops heat flowing into or out of a home. Lightweight, reflective materials such as aluminium can also be used to repel heat, making them ideal for cladding (while also being recyclable in the future). Along with your design and materials, the technologies you wish to incorporate within your home will make an enormous difference in your ability to harvest, store and use energy. 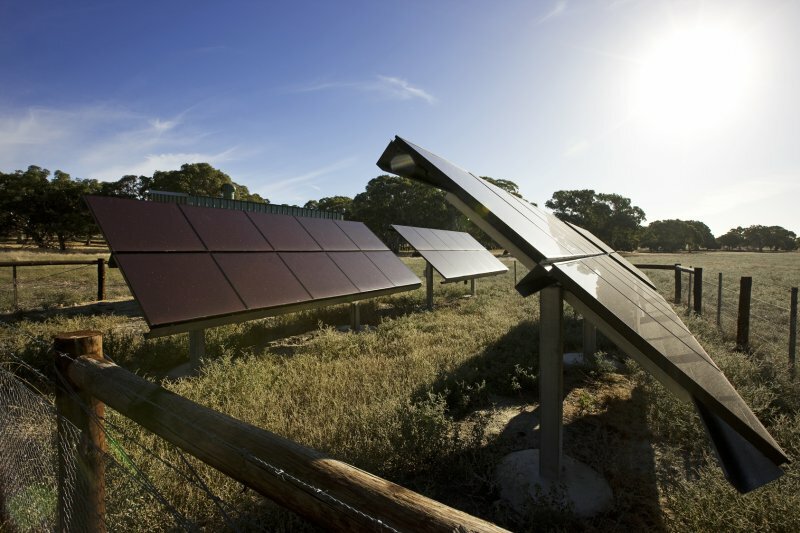 By far, the most common alternative to grid power are photovoltaic cells, better known as solar panels. With reductions in material and installation costs, combined with government rebates, solar panels can now produce electricity for roughly the same price as utility companies minus the fossil fuel consumption. Whether the panels are mounted on your roof or positioned within your garden, they must be installed by accredited specialists so that they can be arranged to capture and transmit energy in the most efficient and safe manner. And for those not willing to make the large upfront investment, installing a solar water heater can be a great way to cut down on energy costs and loosen your grid reliance. While the thought of having a windmill in your yard can be less than appealing for some, there are many smaller versions that can be used to generate electricity without generating greenhouse gas emissions. Site assessment, appropriate heights and system design are best completed by an experienced professional. However, for the handy amongst us there are more and more do-it-yourself alternatives coming on to the market. Where a suitable water supply is available, a small hydro energy system can be a very reliable and economic option for providing power to your home. If you have a permanent stream, creek or river close to your home you may be able to take advantage of this affordable energy source, though this mostly occurs in rural areas. For the majority of turbine types, you will need a strong flow rate (measured in litres per second) and a head source that is high enough to develop force behind the water as it falls and strikes the blades of the turbine. Whether you are using solar, wind or hydro power you will need batteries to store energy for use when demand exceeds output, and inverters to turn energy from DC to AC mains power. Any renewable system will also require switches, circuit breakers and fuses to ensure safety, and allow equipment to be isolated for maintenance. Stand-alone systems usually comprise the energy source, a battery bank, inverter, battery charger and often a fuel generator for back-up power. While utility companies advocate the use of ‘smart meters’ to help manage your energy expenditure, the same can be done by yourself if you purchase your own energy monitor and incorporate it as part of your overall system design. Energy monitors are easy to use and inexpensive, and allow you to monitor the amount of power being consumed at a given time and better plan your consumption patterns. 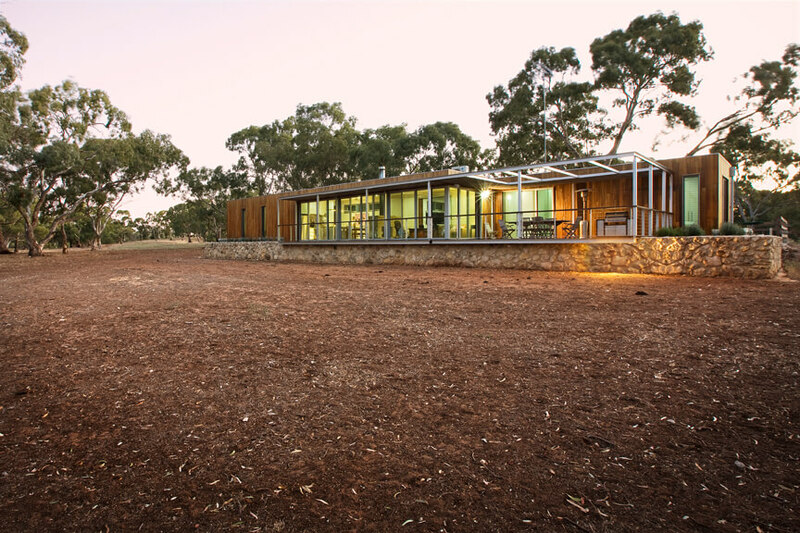 Modscape are specialist eco home builders and we’ve constructed a number of off-grid homes across Australia. To chat about your sustainable house design and plans for living off-the-grid, contact a member of our team.